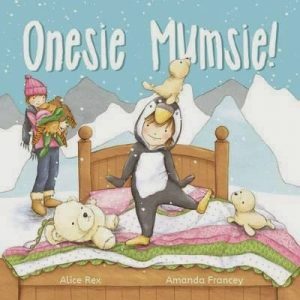 I’ve found the perfect ‘snuggle-up-and-settle-down-for-bed’ books! My three and a half year old just adores them and although they’ve been on repeat every night, the fun surprises at the end never lose their novelty. Tuck in for a good night’s sleep with these two adorable ‘bear’ books to help with the bedtime routine. Where is Bear?, Jonathan Bentley (author, illus. 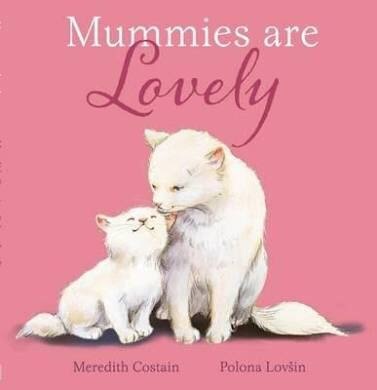 ), Little Hare Books, 2016. A ginormous bear is obscured from visibility as a little boy searches around the house for his Bear. But only to the untrained eye, that is! Preschoolers will take HUGE delight in pointing out the ‘hidden’ bear that follows the seemingly-unaware boy on his mission. With a clever integration of prepositional language, the boy looks in drawers, on the shelf, in the bathroom, on the table, under the sofa, in the car and so on. 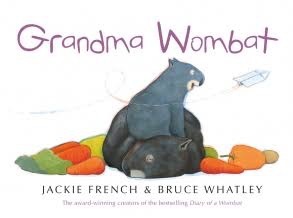 And even more cleverly, this encourages our young readers to shout out exactly where they can see the bear hiding. Continually asking ‘Where is Bear?’ combined with the bear’s concealment in the pictures makes for a hilarious, interactive reading and language experience. But wait until you reach the finale…it’ll literally have you in flabbergasting fits of disbelief! Jonathan Bentley does an awesome job with this simple, engaging text that keeps its readers’ eyes and ears peeled at all times. The vibrant, frolicsome illustrations further enhance the enjoyment with their watercolour and pencil textures and detail that the most discerning viewers will appreciate. 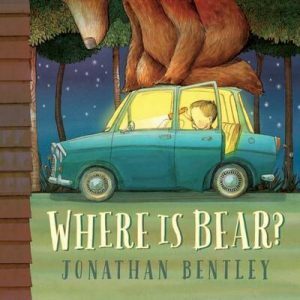 ‘Where is Bear?’ touches on themes of loyalty and friendship, but mostly appeals to children from age three because of its fun, humorous and surprising antics that so often go hand in hand with the bedtime routine. Highly recommended. Take Ted Instead, Cassandra Webb (author), Amanda Francey (illus. ), New Frontier Publishing, 2016. More secret hiding places to delay the inevitable bedtime in this gorgeously funny story by author Cassandra Webb and illustrator Amanda Francey. In ‘Take Ted Instead’, a small boy refuses his mum’s consistent requests to go to bed. The persistent child attempts to mask his whereabouts whilst making his own demands to ‘take RED instead’ (the dog). At each page turn, he finds living and non-living things to be taken instead, each rhyming with mum’s label of ‘sleepy head’. From his cat FRED to his big brother JEDD and the elderly neighbour NED, there’s no giving in. Finally, a gentle persuasive nudge from mum convinces the boy to go with TED. But what surprises are found in the bed when they get there?! Webb’s repetitive and humorous phrasing perfectly suits the tenacious and cheeky nature of our main character, as well as being wonderfully engaging for its young audience. Francey’s soft, colourful palette is beautifully gentle yet her joyous illustrations are an ideal accompaniment to the bubbly energy of the text. 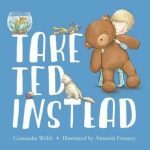 Full of familiarity, wittiness and spirit, ‘Take Ted Instead’ makes for a fun and relevant read aloud experience for preschoolers and adults, alike. Now you have plenty of reasons to snuggle into bed at night! Posted on July 12, 2016 Author Romi SharpCategories Book Reviews - Childrens and Young Adult, New Book Releases, Romi SharpTags #ByAustralianBuyAustralian, Amanda Francey, bedtime, Cassandra Webb, friendship, Hardie Grant Egmont, Jonathan Bentley, Little Hare Books, New Frontier Publishing, routine, Take Ted Instead, Where is Bear?